1st Call Training Ltd is an accredited ITSSAR centre. We are recognised as a Category 3 Organisation as we have at least one Category 4 Instructor/Tutor. Our Centre Number is 3:10046. Below are extracted quotes from the organisations website. "The Independent Training Standards Scheme and Register [ITSSAR] is a self financing and non-profit making organisation, formed to offer accreditation to training instructors and organisations supplying industrial truck and construction training services to industry. As well as offering accreditation, ITSSAR also has an ongoing programme monitoring training and safety to maintain and improve standards where necessary, in the operation of industrial trucks." ITSSAR operates from offices based in Bracknell, Berkshire. ITSSAR is approved and listed as an accrediting organisation by the Health & Safety Commission (HSC) in the Approved Code of Practice (ACoP) for Lift Truck Operator Training.  Its sole function is to write and monitor training standards for a broad range of mechanical handling equipment including construction plant. This ensures that its registrants are delivering the highest quality of training within the workplace.